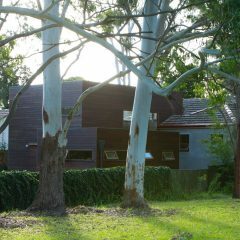 Memory is the essence of Breuer House – gathering, sharing and making memories. 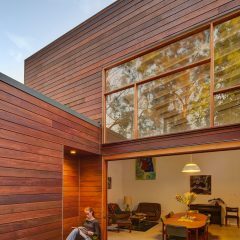 Having grown up in the area and spent 15 years in the original house, obliteration of the modest suburban brick home was not desirable to the clients. 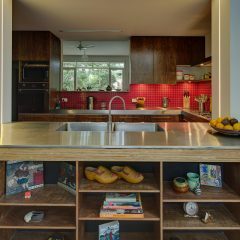 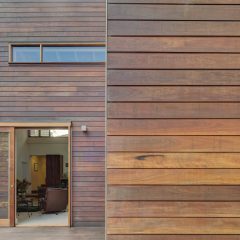 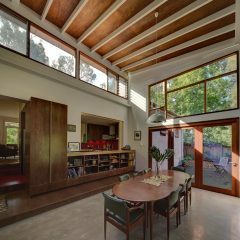 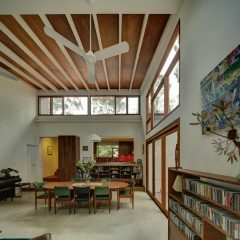 But neither was the home’s collection of chopped up rooms so we approached the project with the ideas of modernism – functional yet beautiful, modest yet spacious. 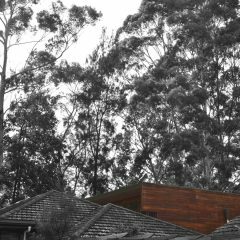 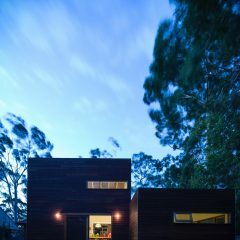 These principles were translated into a relevant contemporary idiom – incorporating the bushscape, addressing environmental sustainability as well as affordability. 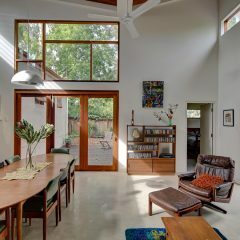 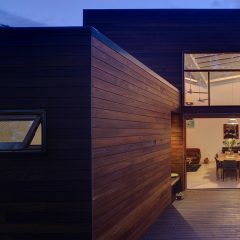 The result is a home of small footprint but generous proportions, high environmental performance and where every room has an outlook to the tree canopy.